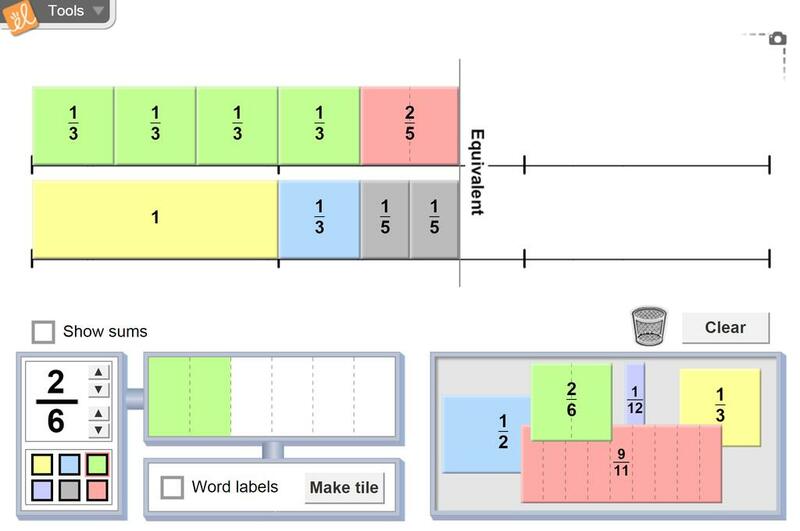 Explore fractions using the Fractionator, the machine that makes fraction tiles. Compare fractions and find equivalent fractions by arranging the tiles on two horizontal rows. Explore simplifying fractions. Add fractions and express sums as improper fractions or mixed numbers. Understand that a fraction represents a relationship between a part and the whole. Understand that the denominator of a fraction represents the number of equal parts the whole has been divided into. Understand that the numerator of a fraction is the number of parts being referred to. Compare the sizes of different fractions. Develop an understanding of equivalent fractions. Express fractions in simplest form. Love to use this every year to introduce and review fractions!